Safety Banners built in Memphis, Tennessee USA and proud of it. Christmas Holiday safety banners encourage all workers and employees to work safely during a special time of year. Any injury is tragic, but injuries during the Christmas Holiday season make a joyous and happy time less so. 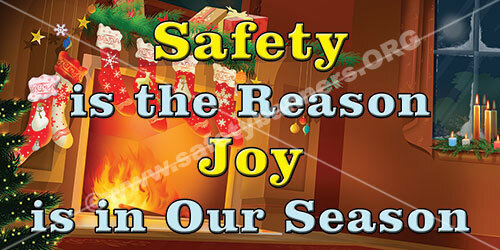 Very few or our competitors offer holiday or Christmas safety banners. 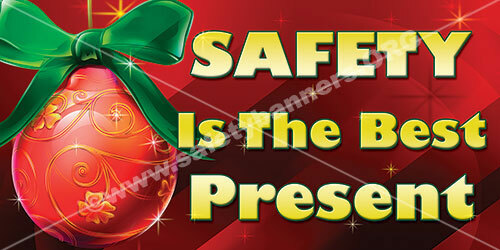 We took the lead in the holiday season specific safety banner design area in 2007 when there were ZERO holiday safety banners available from anyone. 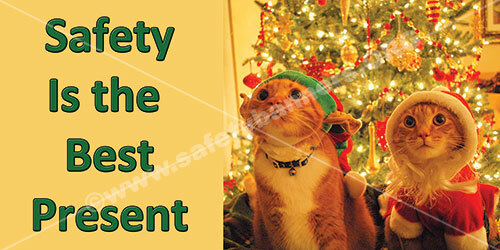 You would probably be shocked at how many Christmas and holiday safety banners we sell. Our customers care about safety year around. 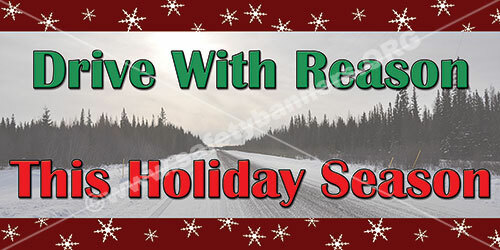 Christmas and holiday season safety banners from SafetyBanners.Org can be stored during the off season and thus will last for years or even decades. Plus, our Christmas mesh fence safety banners can also be taken down and stored for use the following year. Looking for a unique or special company specific Christmas Holiday Safety Banner? Just email us, button top center, or call us at 901-759-0932 Central Time and ask for Cyndi. She will design a Christmas and Holiday safety banner that will knock your proverbial Christmas socks off. CLICK HERE to see all of our Christmas and Fall safety banners.